We’ll work by phone or Skype to develop a fun, creative and effective promotion. You’ll have a clear plan with timetables, goals, a task list and the tools to make it happen. We’ll touch base to answer your questions, keep you on track and make improvements to your promotion. We’ll talk by phone or Skype to identify what worked and how to improve future promotions. 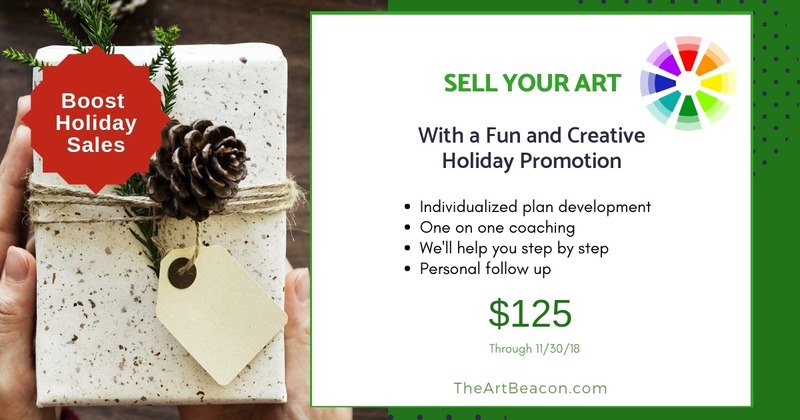 Use what you’ve learned to create more promotions that sell art!